The tranquillity of this small and historic village has been disrupted with the introduction, in recent years, of a golf course and a residential area just a few meters away. The stretch crossed by pilgrims is through the residential area. 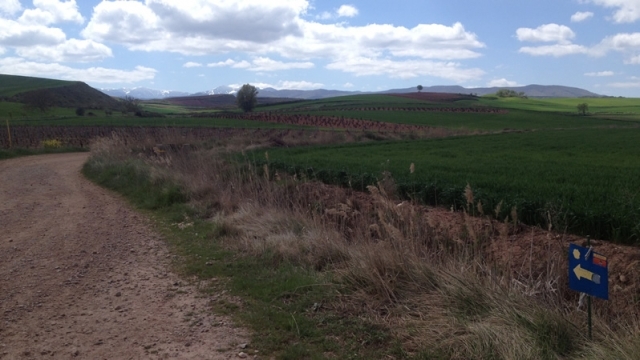 They have the option of turning right and going through the nearby Ciriñuela. If you are traveling on the Camino de Santiago or are planning to do so soon, you should know that the distance separating Cirueña from Santiago de Compostela is 572 kilometers.